When most smartphones are becoming more powerful, the batteries powering them can’t cope with that, which eventually leads to popping up of low battery alert every few hours. Though there are smartphones, which come with a massive battery but just look at the flagships! Most flagships come with 3000 to 3500 mAh batteries, which are not at all enough to power those beasts. But thanks to the power banks, which can allow us to charge the smartphones while on the go. Now that being said, I just purchased a Billion PB130 10000 mAh power bank and used it for almost 2 weeks. Billion is a brand by Flipkart, and the power bank is one of their products, apart from the Billion Capture smartphone. 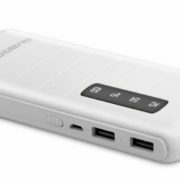 After using it for two weeks, I am now writing a review of the Billion 10000 mAh power bank, and will also discuss, whether it is going to be a good purchase for you. I was about to purchase the 15000 mAh power bank, but went for the 10000 mAh one, as the former one was out of stock. Presently the 10000 mAh power bank is available for Rs. 799 on Flipkart, but I grabbed the deal for just Rs. 599. Let’s now dive into the review of this small portable power brick. 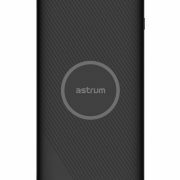 I went for the black Billion 10000 mAh power bank, instead of the rose gold color, as black seems to be a better choice for me. When I got the product, it was not fully charged, and I had to charge the power bank for almost 5 hours, which is quite normal, as I was charging it for the first time. The build quality is good, and comes with 3 USB outlets, allowing 3 devices to charge at once. The power bank can be charged with the help of any charger, through the Micro-USB jack, present just in front of it. The input ratings are DC 5 Volts and 2.1 Ampere, and the output rating is DC 5 Volts and 2.1 Ampere. There are 4 LEDs, which display the battery status, and a small LED is present just in front, to use it as a torch. 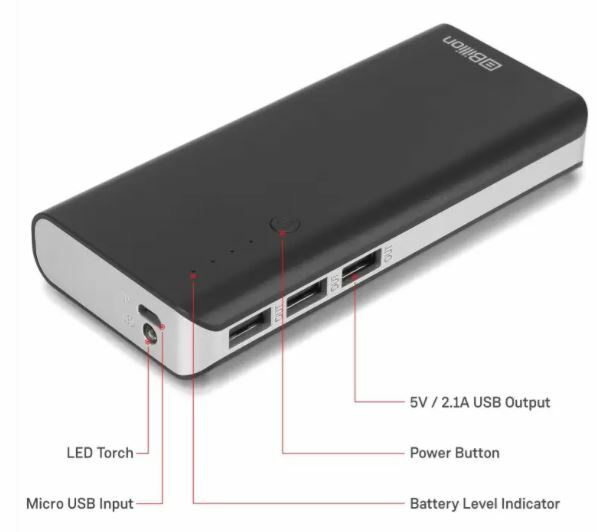 The torch adds a small utility to this portable power brick, making it a multi-functional one. The power bank comes with a multifunctional push button, which can be used for multiple tasks. Tapping the button once will turn on the power bank. The long tap will turn on the torch, and double tapping the power bank will turn it off. This was all about the physical overview of the power bank. Now find out the pros of the Billion Power Bank. Build quality is pretty good, and it feels great to hold in hands. Even holding a smartphone and the power bank within the hands is possible, due to its sleek design. 3 USB ports, allowing the user to charge 3 devices at once. Helpful for those, having multiple devices. Comes with a torch. Pretty helpful for a niche of users. I don’t think, I need to elaborate the importance of the torch. The 5 Volt 2.1 Ampere output can charge most devices pretty fast, and thus, can be used for emergencies. Pass through charging is also supported by this power bank. With this feature, you can connect the devices to the power bank, and the power bank to your wall outlet. All the devices will automatically get charged after certain hours. Pretty light-weight, and the shape of the device allow the users to carry it effortlessly in pockets and in office bags. It takes 6 hours to charge fully, which is acceptable, as after all this mighty beast can hold 10000 mAh of charge. Due to the regulated power output, neither the devices nor the power bank gets too hot, at the time of operation. Plug and play. The devices will start charging, once they are connected to the power bank. 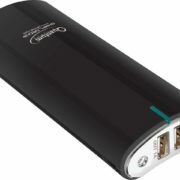 The device will automatically power itself off, when not used for some time, and the same happens, when the power bank finishes charging all the connected devices. There were a lot of pros. What about the cons! Let’s find out. Do not come with support for fast charging. Though the charging speed is not that slow, on devices supporting fast charging. The blue battery status LEDs can be pretty irritating to the eyes, especially at night. The torch provided with the power bank is not that bright. Though it can serve some basic purposes in most cases. There is no charging adapter is provided with the power bank, which can be considered as a con because what happens if you don’t have a spare adapter or any other medium to charge the Power bank. However, you can use your mobile phone charger to charge it. The cable provided with the power bank is just too small. Though it makes the device helpful to carry, I wish the cable was a little bigger. It is yet not a con for all, but it is for some users. Now the time for the final verdict. Should you go for it! If you are looking for an affordable power bank, which is easy to carry, the Billion Power Bank can be the best mate for you. If you are having a single smartphone with 3000 to 3500 mAh battery; you can surely charge them 2 times, and if you are charging it for the third time, you can partially charge it. This can be acceptable because little amount of energy is wasted and the efficiency of an electronic device can’t be 100%. After using it, the performance is better than satisfactory, I would say. But if you are having multiple smartphones or a smartphone with 4500 to 5000 mAh of battery, I will not recommend this, if you are expecting to charge your device multiple times after charging the power bank once. Now it is your decision, whether to purchase it or not. But the final verdict is, this product is no doubt a great value for money; if compared to other power banks available at the same price range. But keeping one thing in mind, no electronic gadget is perfect. Hope the review about the Billion PB130 10000 mAh Power Bank was helpful for you. And I wish, it will help you in making your decision in a better way. 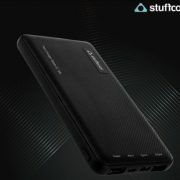 What do you think about the Billion Power Bank? Let me know it, in the comment section down below.